Coming back from the dead. Accidentally going AWOL in the Army. Losing a father at age 11. Challenging a violent motorcycle gang with a gun. 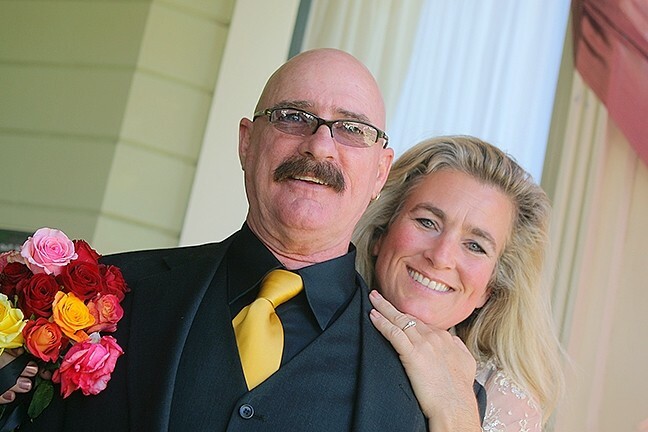 Story after story from Jenifer Rescola’s husband, Terry Rescola, had her jaw dropping time and time again, so she decided one day that she would write his stories down. The former New Times bookkeeper and Atascadero State Hospital psych tech sat down to talk about her first book, Idiot Out Wandering Around. ONCE UPON A TIME : Author Jenifer Rescola and her husband, Terry, met at Harry’s Bar in Pismo Beach. New Times: Had you ever written anything before this book? Jenifer Rescola: No, not a book. But I did write a couple of summer guide articles for New Times and it was fun, but that was about it. NT: What made you want to write a book? NT: How did you and your husband meet? JR: We met through mutual friends at Harry’s Bar. I went up to say hi to the band, and he went up at the same time to say hi because he was their original drummer. We all sat together and danced together and that was it. NT: What made you want to write about your husband’s life? 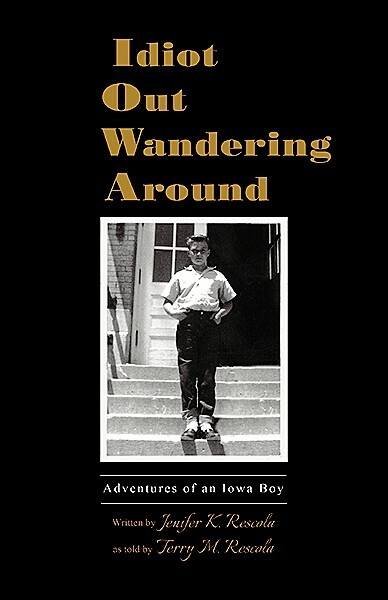 LOCAL LITERATURE : Stories from local spots like Pirate’s Cove and the old bowling alley on Laurel Lane make their way into 'Idiot Out Wandering Around' by Jenifer Rescola. JR: Ever since I met him, my jaw would drop when he would tell me stories like “you did that?” or “that happened to you?” There’s this one story where he’s on crutches at a gas station and this one guy gets really irate towards him, and Terry thinks, “Well how do I defend myself?” So he pulls the gas nozzle out, and this is before they had safety valves, and points it at the guy. And the guy went from irate to extreme fear in a second. NT: Where does the title come from? NT: What was the conversation like when you first told your husband you wanted to write about him? JR: He was kind of humbled but excited at the same time. I was just seriously amazed at how much he remembered. I did a lot of research, but he knew last names, dates, the year of his truck, things I wouldn’t retain. NT: And the book gets into some local stories as well? READ ON: 'Idiot Out Wandering Around' by Jenifer Rescola is available for purchase on Amazon and barnesandnoble.com for $7.99 for digital versions and $17.95 for paperback. JR: Despite the title, there are a lot of local stories because he’s been here since 1972. For people who remember the Laurel Lane bowling alley and the Crown Room, Terry was in one of the most popular bands of the era, there’s a story that involved Pirate’s Cove and the Sherriff’s Department, there’s the old Cigar Factory Restaurant, stuff like that. JR: Growing up, definitely Ozma of Oz by L. Frank Baum. Just the best writer, very captivating and wonderful. The book that told me “I want to write a book like that” was Under and Alone by William Queen, it’s a story of an ATF agent that went undercover to infiltrate a really bad motorcycle gang. It was his story and it was just shocking. Ryah Cooley is figuring things out at rcooley@newtimesslo.com.